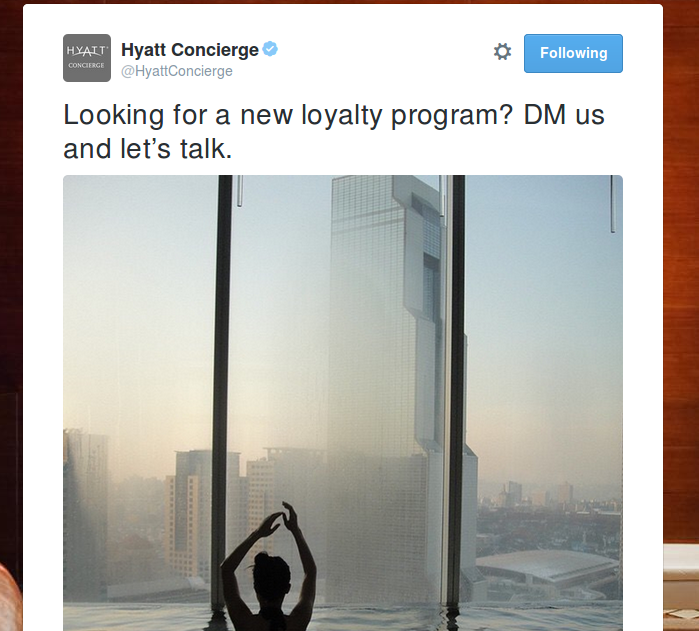 Discussion in 'Hyatt Gold Passport' started by Gagravarr, Nov 20, 2015. Not sure yet the exact details / restrictions on what they're offering, as they're directing everyone to DM them about it. If you have status with another chain, probably especially if it's SPG Platinum, and there's a Hyatt near where you often are, looks worth getting in touch with them!